He was way ahead of his time as an athlete; probably too far ahead for his own good. McGinnis was as dominant a high school basketball player as there’s ever been. At 6-foot-8, he had uncommon strength and agility. Despite being teamed with another great player, future college All-American and first-round draft pick Steve Downing, he was the star of the Washington High School team that went undefeated and won the state championship in 1969. He scored 35 points in the final game of the state tournament and was an obvious choice for Mr. Basksetball. McGinnis is equally remembered for his performance in the annual all-star series with Kentucky after he had been named Mr. Basketball. He scored 23 points and hit just 8-of-26 shots in the first game in Indianapolis, after which a Kentucky player named Joe Voskuhl was quoted in the Louisville paper as saying he wasn’t all that impressed. That got back to McGinnis, who responded with 53 points on 20-of-32 shots, 30 rebounds and four blocked shots in the second game in Louisville. He could have scored 60; he missed nine foul shots, including the front end of five one-and-one opportunities. McGinnis always believed that game was fateful, because it was the last game his father saw him play. Shortly afterward, his dad was killed in a construction accident. After two years at IU, one of which was spent on the freshman team, McGinnis joined the Pacers. He was the MVP of the 1973 ABA finals, and the co-MVP of the league in 1975 with Julius Erving. McGinnis had the best single season a Pacer has ever had that year, averaging 29.8 points and 14.3 rebounds. He also led the team in assists, steals and, oh yeah, turnovers. He became such a star the Pacers couldn’t compete for him in the open marketplace when he became a free agent that summer. He jumped to Philadelphia in the NBA and was a two-time All-Star in that league, but his playing career faded quickly. 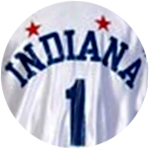 By the time the Pacers reacquired him in a trade for an emerging Alex English – not quite the best trade in the Pacers’ franchise history – McGinnis was a shell of his former self. He averaged just 4.7 points in his final season, 1981-82, and was cut in training camp the following season. He was just 32 at the time. He was so upset by the humbling end to his career that he retreated to Denver for a few years before returning to Indianapolis. He had smoked cigarettes throughout his playing career, often lighting up at halftime, and had never lifted weights or trained. He had been such an exceptional athlete he no doubt felt indestructible. McGinnis’ success and fame got to his head a little. Larry Brown, who coached him in Denver before McGinnis was traded back to the Pacers, said at the 1980 Final Four, when he was coaching UCLA, that one of the reasons he returned to college coaching was that McGinnis didn’t even listen to him during timeouts, preferring to sit on the scorer’s table instead. That wasn’t the real McGinnis, though. He’s remained an exceptionally nice person throughout his career and beyond. 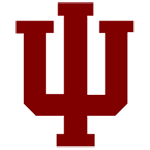 I experienced that as a college kid in 1976, as sports editor of the Indiana Daily Student. I drove to Chicago to write a feature story on him during his first season with the 76ers, and wound up chasing him through the evening. I tried to talk to him at the hotel before the game, then in the locker before the game, and then in the locker after the game, after he scored 23 points to lead a one-point victory, but he said he was too busy each time. So, I went back to the hotel and caught up with him after the game in the lounge, where he was entertaining a group of friends – including Roger Brown, who was retired from the Pacers by that point and drove up from Indianapolis to see him. He talked to me then, and couldn’t have been nicer. I’ve since gotten to know McGinnis well, and he continues to be nicer. We conducted this conversation in a meeting room at his chemical supply business. In later years, he came downtown to record a spot for one of my sponsors, Movietyme Video Productions. He’s that kind of guy.